And Chuck, the University of Montana Big Sky poll released results this week of a poll of registered voters they took in August, and to say the results are surprising I think is an understatement. The poll shows the Democrats in the U.S. House and Senate races with double-digit leads over their Republican opponents. Jon Tester leading Matt Rosendale by 24 points. And Kathleen Williams leading Greg Gianforte by 13 points. That defies all other polls that have been done up to this point. And maybe all logic. Chuck Johnson: Well the first thing I'd say, Sally, is polling is really difficult these days, where people don't sit at home and don't even have land line phones in many cases. And you know, younger people go with cell phones only, don't answer polling, so it's really tough to get a sample. But this poll seems to be at odds with other polls that have come out. It also had a really long time out in the field – 18 days in August. Of course, Trump came again after that poll. I just think it's poor sample and the media by and large ignored the poll. I think it failed to pass the smell test. And the people doing the polls said they're working on another one right now to release later in October. And I guess all I can say, I hope it's a better poll. SM: One hopes that voters paying attention to this poll might realize that it's not something that they should base their voting habits on. CJ: That's correct, Sally. And actually, I don't think people should base their voting habits on any poll. I mean, there are a lot of problems with any poll but this one has more problems than most I think. 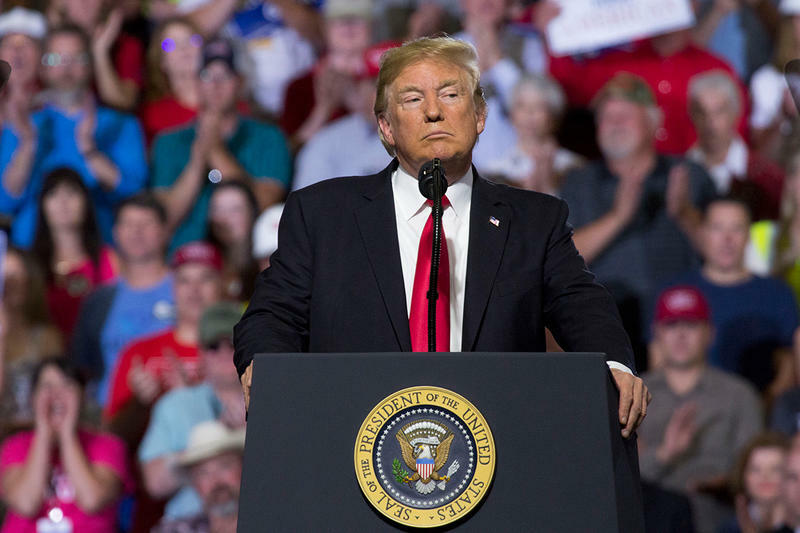 SM: Rob, I think if Jon Tester truly has a 24 point lead over Matt Rosendale, Donald Trump would not bother making a third trip to Montana this year. But in fact, Donald Trump is making a third trip to Montana. Rob Saldin: Yeah, it's pretty amazing. In the span of four months we're going to have three presidential visits and two vice presidential visits. That is not normal. Clearly, I think Matt Rosendale is thrilled to have the president come one more time. These presidential visits do not happen by accident. They very much want this. And in fact, I think if there was just one thing that Rosendale could drill into the minds of Montana voters it would be that Rosendale's the Trump guy, and Tester's the anti-Trump guy. They're happy to have the election boiled down to that single dynamic. So they'll take all the Trump visits they can get. Now to be sure, Trump is a polarizing figure and lots of people don't like him. But in Montana, Rosendale's clearly happy to take that bet and go all in on Trump. RS: Right, Missoula strikes a lot of people as an odd stop because it's the most liberal place in the state. And I'd be surprised if there wasn't a much more vocal protest during this visit than we saw in either Great Falls or Billings. SM: There were protests there but they weren't huge. RS: Right. And there's also been these incidents of people confronting Republicans in restaurants until they have to leave and so on. So the basic point that we're seeing from Republicans now is that basically there's this crazed, angry, liberal mob of resistance warriors out there that's way out of step with mainstream America, to say nothing of mainstream Montana. And I think they like that dynamic and they think that dynamic helps them. And not surprisingly, you know, we're not only seeing that at the national level, and I wonder if that's something that they would welcome here in Missoula. But we're also seeing it in the House race from Greg Gianforte, who's increasingly leaning heavily on that argument, asking voters whether they want someone who will support the president, like him, or who will join the resistance and stand with Nancy Pelosi. 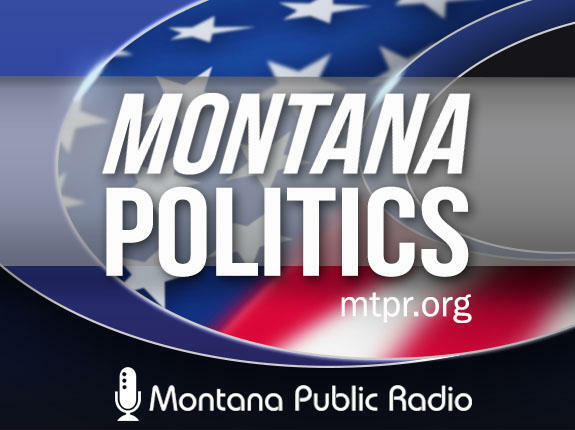 SM: Speaking of the House race, Chuck, the two candidates Greg Gianforte and Kathleen Williams held a second debate last weekend and there are a number of issues where they clearly differ including on health care. Here's what Gianforte had to say about wanting to end Obamacare. Greg Gianforte: "Let's face it, Obamacare is a dismal failure. It promised the moon and delivered nothing." SM: And, Chuck, he would replace Obamacare with a number of new private insurance plans and health savings accounts. CJ: Yes, he's looking at what are called association plans that would represent members of certain groups. The health savings accounts, which of course are difficult for a lot of people to save money for health savings account when they don't make a lot of money to start with. But that's his general position on that. SM: Kathleen Williams wants to expand Medicare for people 55 and older and she criticized Gianforte for previously supporting a bill that would not cover people with preexisting conditions. Kathleen Williams: :Well congressman, you did express support for Graham Cassidy, didn't you? Congressman? I think that's a yes." SM: I think that was an effective moment in the debate. Rob? RS: Yeah, very much so. You know, one thing that stood out to me in this debate is that it really demonstrated how each candidate has an issue or two in which they were really in their comfort zone, in which their opponent was pretty clearly on the defensive. I thought for Gianforte his best moments came when he was talking about guns and Williams was a bit defensive on that. But on the flipside Williams was at her best and Gianforte was on the defensive when talking about public lands and especially health care. And that moment certainly captured it that you just played. And, you know, we see Democrats running on health care nationally in this midterm election. And it gets at a problem that I think Republicans have always struggled over since Obamacare became an issue. Whenever they get into specifics and it moves from just trashing the Affordable Care Act or saying 'repeal and replace,' they struggle to come up with ideas that catch on and to be able to articulate that in a way that people find persuasive. CJ: Gianforte said Williams wants Medicare for all, and it would cost like over a trillion dollars. She came back and said no, I've only advocated for Medicare buy ins for people over age 55 and they would pay for it. So it's quite a difference in their explanations of her plan. The other thing that struck me about that debate was how many times Nancy Pelosi's name came up. You would think she was on the ballot in Montana. I don't think Mr. Gianforte could say her name often enough. Rob? RS: Clearly a lot of those lines were scripted. Gianforte did come back to the same points over and over again which shows a very disciplined candidate. It also shows that he knows his lines of attack and is going to make sure that voters remember them. At least he hopes they will. SM: Chuck, two initiatives on the ballot are attracting a lot of outside money, for and against. 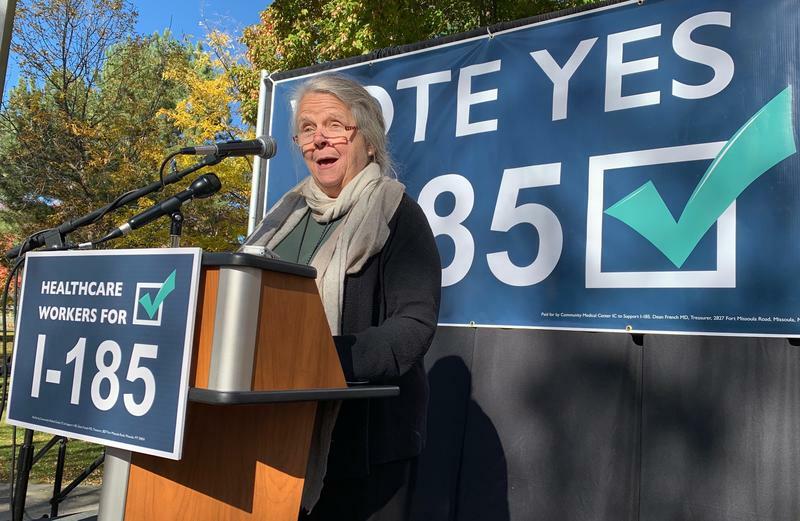 One, Initiative 185 would raise the tobacco tax to help pay for, among other things, the continuation of Medicaid expansion which is due to expire next year. Here's one of the ads supporting I-185 and it features Governor Steve Bullock. Steve Bullock: "Big tobacco corporations are spending millions out of state dollars, misleading Montanans about efforts to protect our health care. Here's the truth: the I-185 ballot initiative fully funds health care for 100,000 of our fellow Montanans. It provides services to seniors and veterans they've earned and deserve. And it saves Montana taxpayers money. It's time to hold big tobacco accountable. Join me in voting yes on I-185. It's the right thing to do." SM: And Chuck, Montana hospitals are among the supporters of this initiative. They really want it to pass. CJ: They do, and it's not only to provide the health care that people need but it's also to get paid for it. Hospitals have provided millions of dollars of care in the past, but often eat those expenses as charitable donations because they aren't reimbursed. And Medicaid expansion made sure that they had those bills paid and this bill would as well – this initiative. SM: Opponents include, not surprisingly, the tobacco industry and retired Judge Nels Swandal. Nels Swandal: "I was a Judge for 18 years so I know that Initiative 185 has a major constitutional flaw. I've read I-185, every word, and it's poorly and deceptively written. I-185 bypasses the state Legislature to create a permanent appropriation, which isn't allowed under Montana's Constitution. Its article 3 Section 4, and you can read it yourself. Respect our Constitution and join me in voting no on 185." SM: And this ad, Chuck, is sponsored by a group called Montanans Against Tax Hikes. CJ: Right, and this is a debatable point. Because the Constitution does prohibit appropriations by initiative. This has a tax by initiative, which is allowed, but then it also seems to appropriate the money, according to people like Swandal. But the proponents of the initiative said no, it's legally allowed. So this is a debate. If the initiative passes I'm sure there'll be a challenge by the tobacco industry saying that this is an improper appropriation of money. SM: And I would think this initiative could be a close vote. CJ: I think the tobacco industry, to date, has spent in excess of $12 million to fight this and the other side has spent a fraction of that. But I think we'll see more spending now that absentee ballots are going out. Dave Perkins: "I'm a fisherman and a hunter. It's easy to see why I'm proud to call Montana home. But, all this depends on clean water. Montana has over 200 abandoned mines discharging acid-mine drainage – lead, mercury and arsenic into 2,500 miles of our streams and rivers. Montana's at a turning point. It's up to us to protect our clean water, our economy and our way of life. So please vote yes on 186." SM: And this ad features the vice chairman of the Orvis fly fishing company. He's someone who lives here, Orvis does not. RS: Right, that the battle lines on this one fall into a classic Montana debate in which jobs and the economy are pitted against the environment and public health. As the ad makes clear, proponents of the initiative say it's necessary to protect water quality. And while I think they don't explicitly point to the history of some industries in Montana by name, they are also, I think quite clearly, drawing on the legacy of the copper kings and the Berkeley Pit and the asbestos issue in Libby. And some of these other issues that are clearly on their mind. And they also make the case that look – Montana's economy isn't necessarily what it was 50 years ago. Outdoor recreation, tourism, these things are a big part of the Montana economy and so we have to protect that to preserve the Montana economy. SM: Water being crucial, of course. Fishing is also the theme of an ad opposing 186. Tod Simon: "The Stillwater Mine creates good Montana jobs. And the Stillwater River is where I go fishing. It's a perfect balance between the economy and protecting the environment. I-186 could destroy that. It would block new mines and cost us jobs. 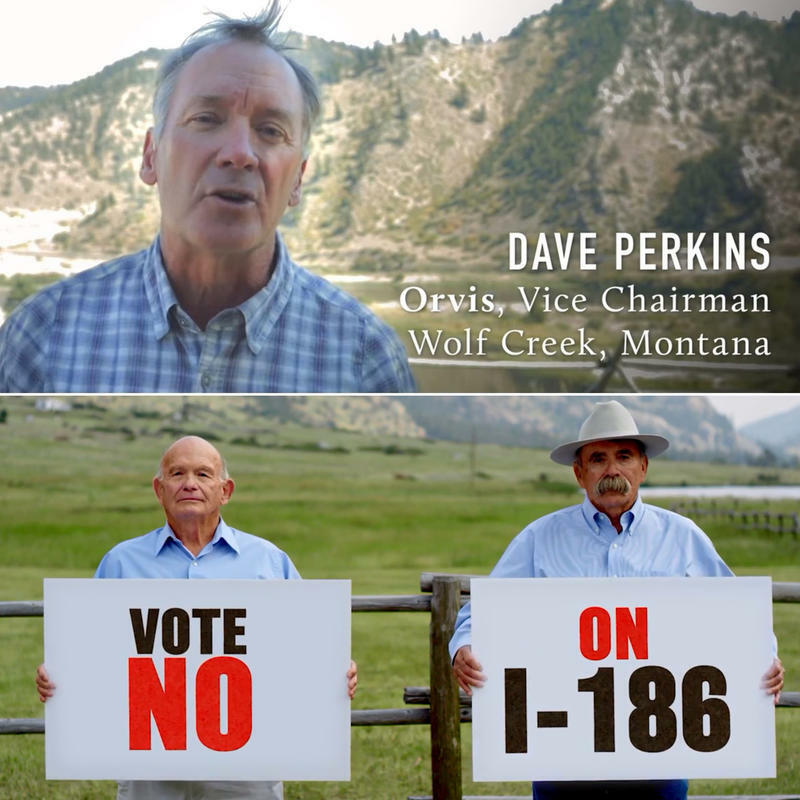 The out-of-state interests backing 186 just don't get Montana. The balance we have worked. Vote NO on 186." SM: And this features an electrician with the Stillwater Mine out there fishing. And it's been misleading because it says the initiative would quote block new mines. RS: Right. You see it in the ad. I mean opponents say this thing would cripple the mining industry in Montana and therefore it's bad for jobs and for the state's economy. They also clearly are suggesting the mining industry basically gets a bad rap. That whatever small handful of issues there might have been in the past that's not reflective of the industry as a whole. That mining can be done responsibly, we can have a reasonable balance. That's their line. SM: Well it's an old, longstanding debate in Montana, Rob. Jobs versus the environment. How do you have both? Is it either or? Been having that debate for as long as I remember, and that's a long time. RS: Exactly, this is the latest chapter. SM: It's going to be a busy political week with another presidential visit and we will talk about that next week. 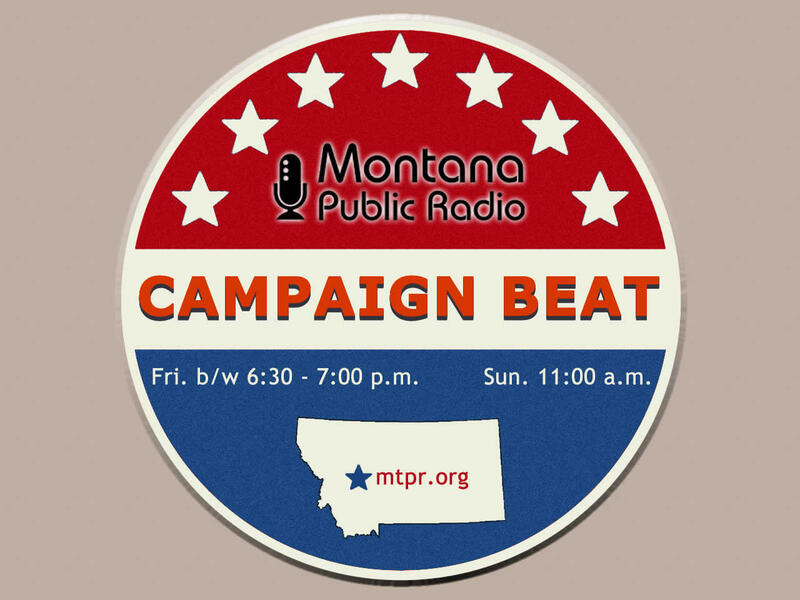 You've been listening to "Campaign Beat," our weekly political analysis program. I'm Sally Mauk and I've been speaking with University of Montana Political Science Professor Rob Saldin and veteran Capitol Reporter Chuck Johnson. Thanks, guys.